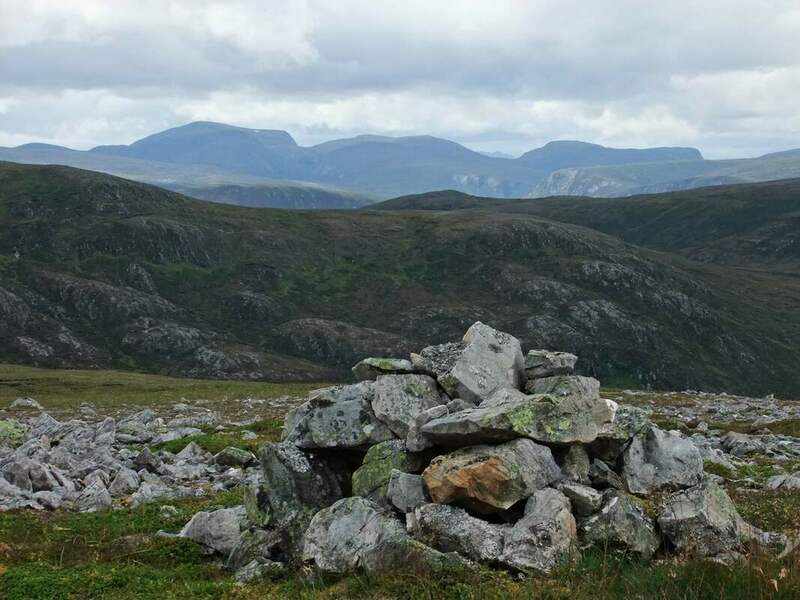 Banner photograph: Beinn Tharsuinn from the Diebidale Ridge - Am Faochagach and the Beinn Dearg group in the distance. Most people approach from either Gleann Mor or Black Bridge but Glen Calvie is a much prettier glen. The bike distance is less but a slightly longer hike. More time is spent up high as this is a ridge route forming a horseshoe. Plenty of parking space at the end of the public road. Friday was forecast as a fine day before the bad weather returned. The weather was not as good as forecast though the tops of even the bigger hills were clear of cloud. 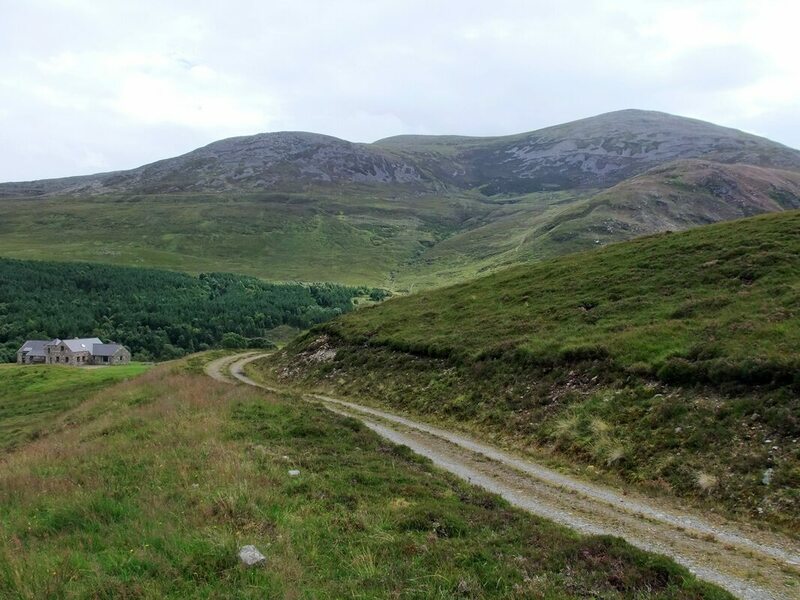 I remember enjoying the bike ride in Glen Calvie when I did Carn Chuinneag in 2011 and it was just as enjoyable this time, especially free-wheeling much of the way back to the car. 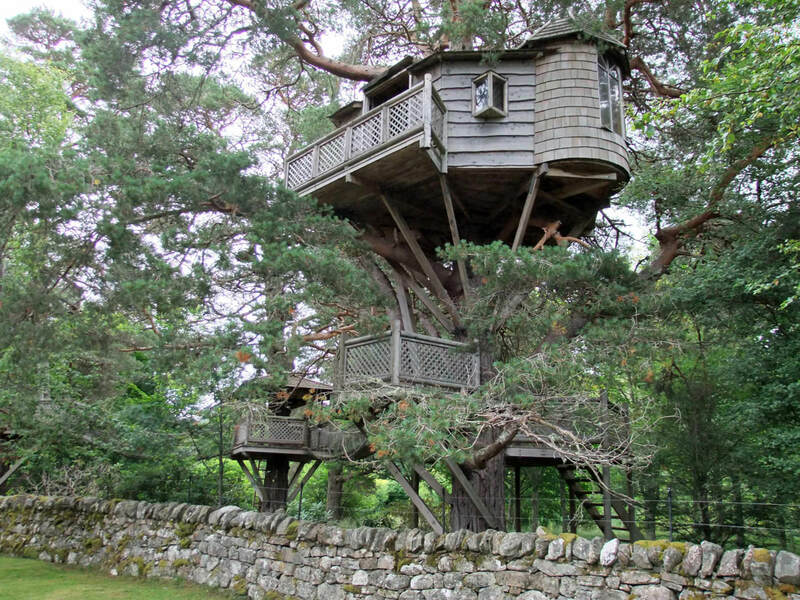 I had forgot about the amazing tree house at the start and the unusual appearance of Glencalvie Lodge. ​The bracken blocking the way across the bridge suggests that it is little used. I locked my bike to it on the far side. 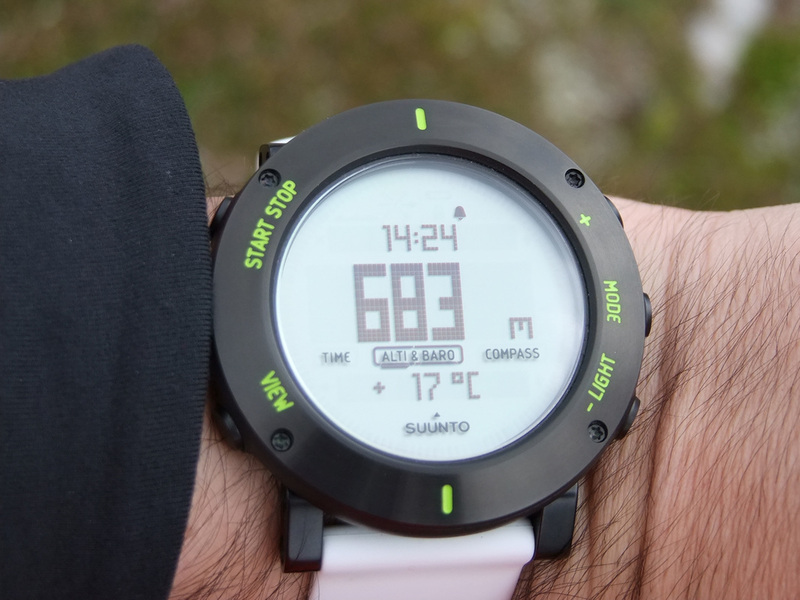 As the track from Diebidale lodge contours around the hillside, it 's highest point is around the 280m contour so I used this as a reference point for the altimeter on my watch, not so much because I thought I would use it but just to practice using the watch and to test it's accuracy. My reference point was ±5m and with varying atmospheric pressure I was hoping for an accuracy to within 10 metres. Taking photographs of the hills means so much more when you have climbed them. 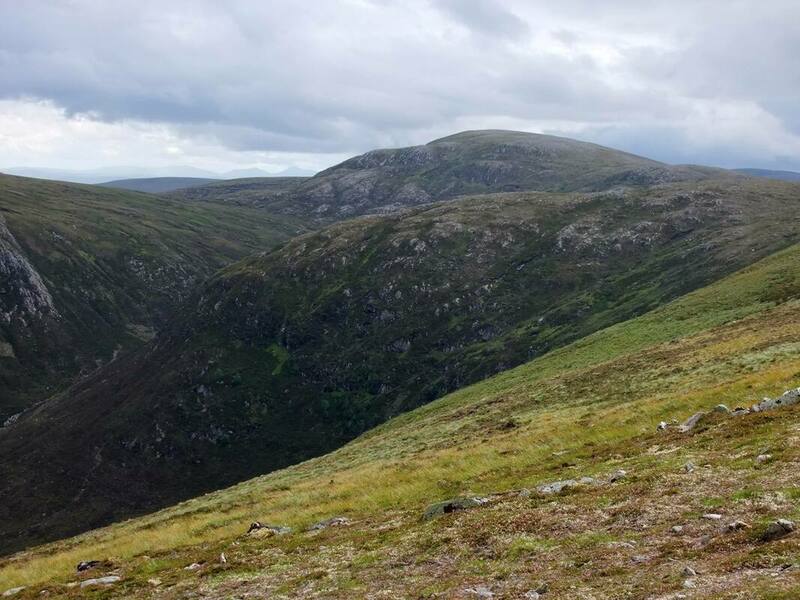 I climbed Carn Chuinneag (below) on a fine summer's day. I always enjoy my time in the hills, but that was an above average day - pleasant bike ride, good stalker's path, stony summit and great views to the Dornoch Firth. Back then, I had no idea that I was looking at my future home! 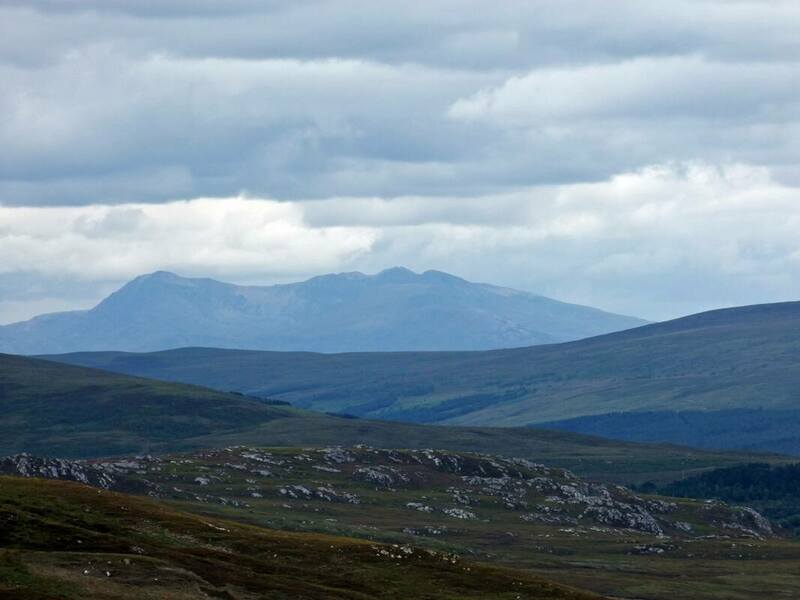 As I gained height, the first Munros to come into sight were Conival and Ben More Assynt. I had traveled to Inchnadamph the previous weekend and it seemed quite a long drive along the narrow, in some places, single track road. Looking from here, Assynt looked so close and not a good hour's drive away. The Diebidale ridge is long with vehicle ruts to follow - it would be overstating things to call it a track. Eventually, it leads to a small cairn at spot height 691. My watch showed 683m: within the 10m parameter I was looking for. I was glad to see that even the higher tops were clear of cloud and was thrilled by the view of the Beinn Dearg group of hills to the west. 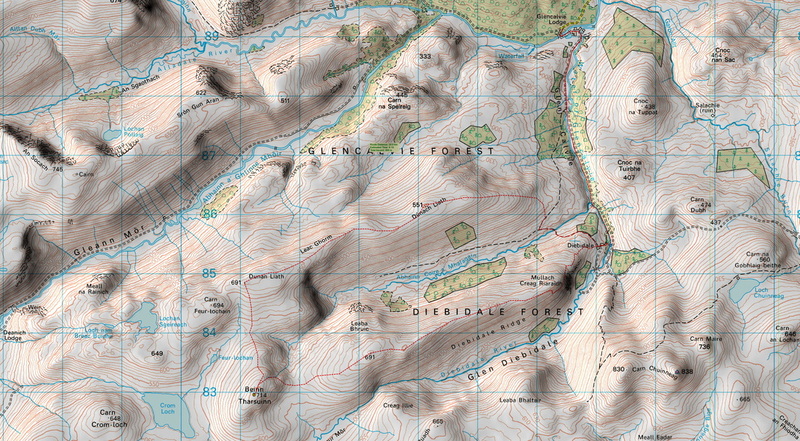 An Teallach could be seen across the Meall nan Ceapraichean - Eididh nan Clach Geala bealach. ​I took my first selfie of the day, with Ben Wyvis and Little Wyvis as the backdrop. 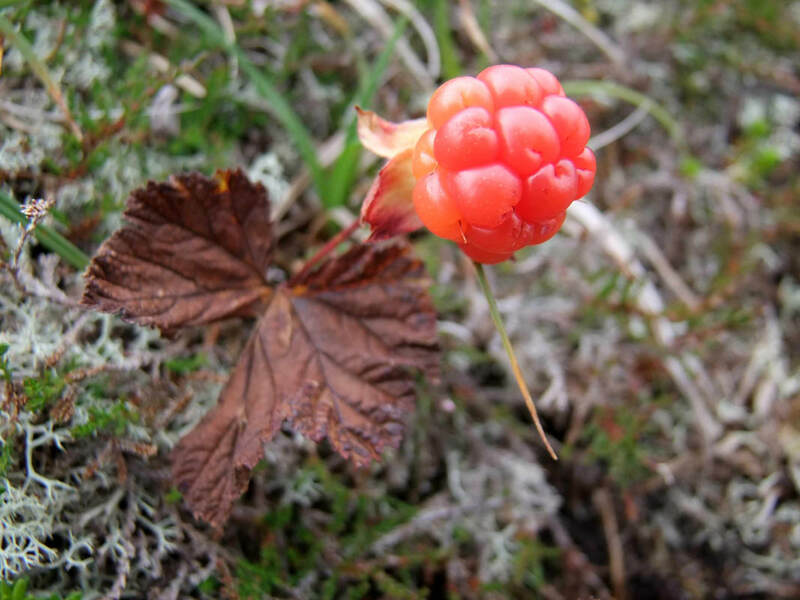 I saw a single cloudberry and I though how strange it was for there just to be the one. I did find more later on the approach to Dunan Liath, but not enough for a decent sized pie! 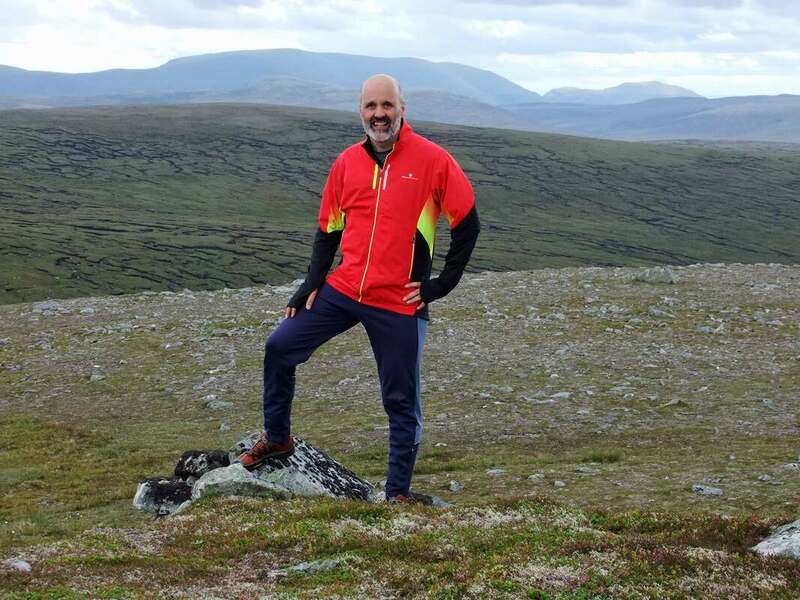 There was initially, an easy downhill jog, followed by a little section of peat hag before a final push up slightly steeper, rockier slopes to the summit of Beinn Tharsuinn. 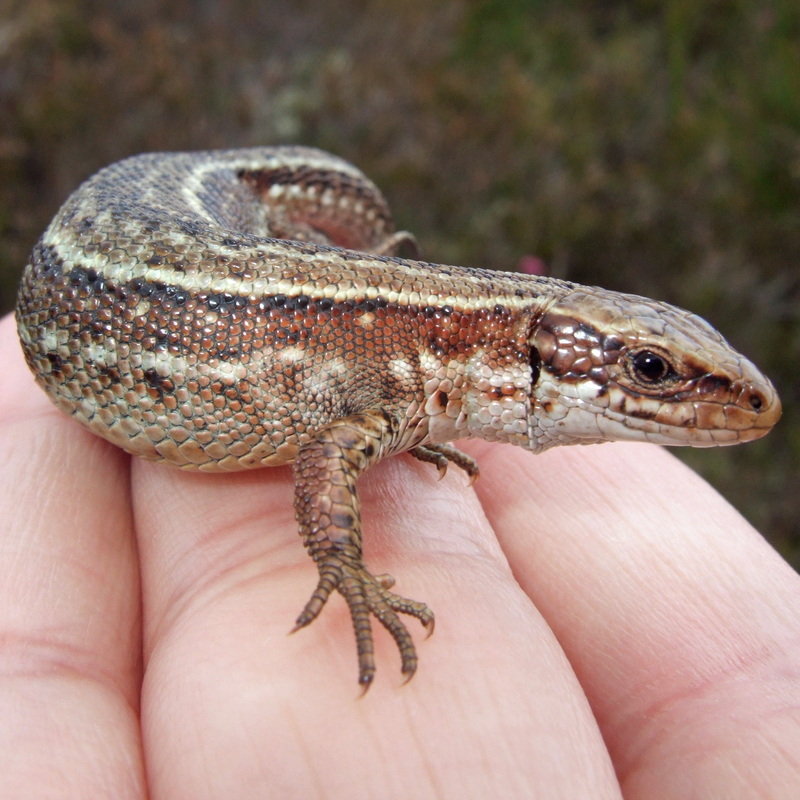 In the peat hag, I spotted a common lizard which disappeared into a small dirty pool. Reaching into the pool, I caught it. 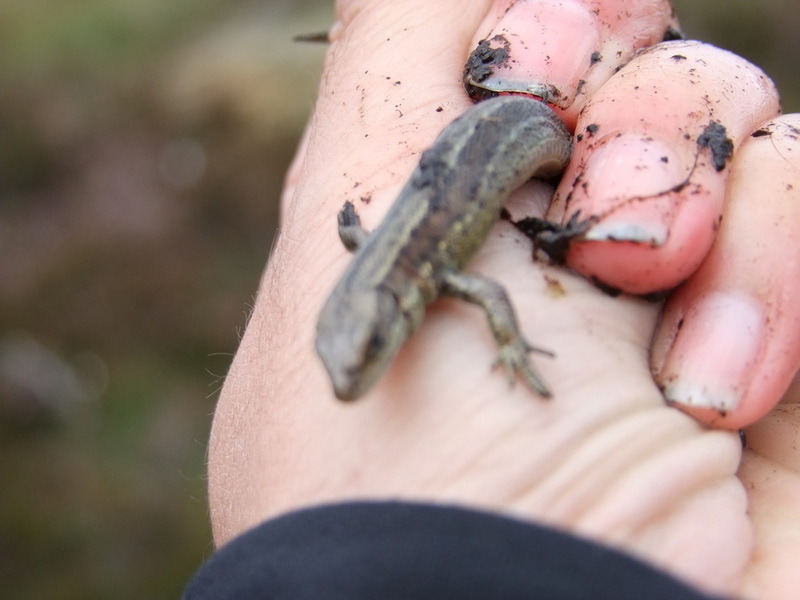 When I lay out my hand flat to photograph it, the reptile took refuge up the sleeve of my jacket. I dreat to think where it would have got to had it not found it difficult squeezing past my watch strap! Pulling it back out, I took a photograph but it came out blurred; only its tail trapped in my fingertips being in focus. Letting go of its tail, it ran off my hand and disappeared into the vegetation. I eventually reached a track that lead down towards a bridge across the Abhainn Coire a' Mhalagain. 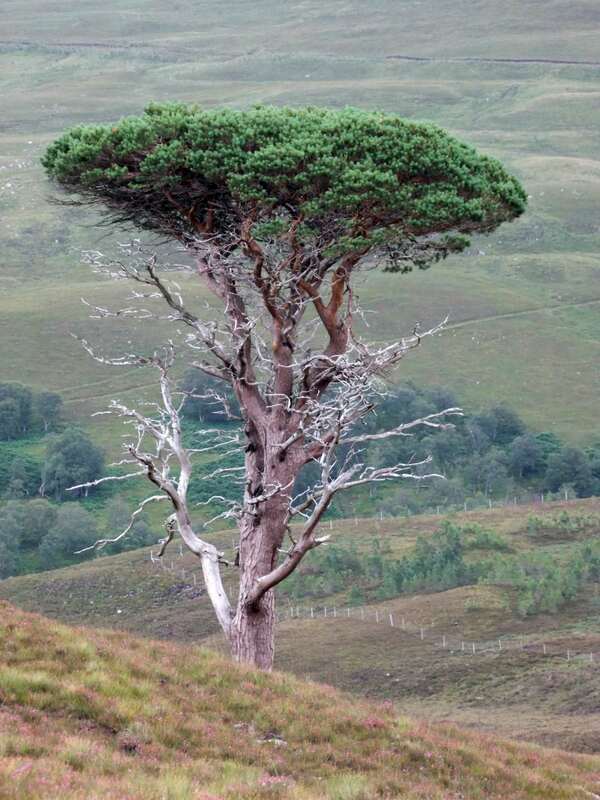 I had spotted this tree from my outward route; its foliage appearing as a stronger green against the drap, olive hillside. It looks like something from Africa where the lower leaves have been eaten by giraffes. 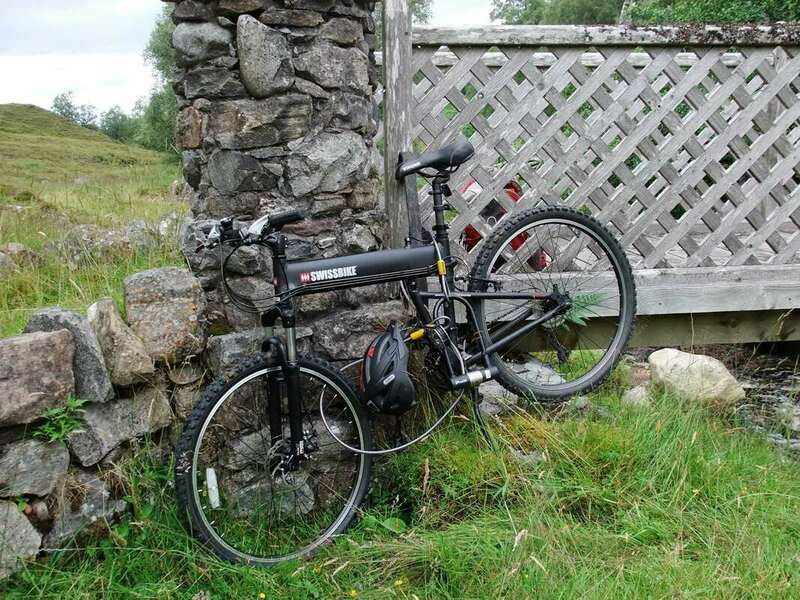 On reaching my bike, I unlocked it and packed away the lock and cable as fast as I could as the midges were out. I tried to scratch my head through the vents in my helmet before speeding down the glen, arriving at the car after about 20 minutes. 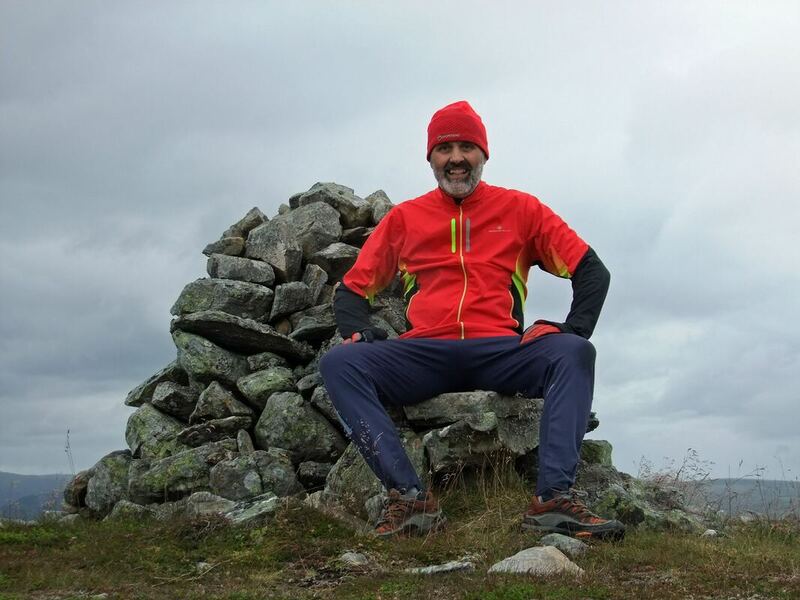 There had been some rain during the day but not enough to warrant putting on a hardshell, my running jacket coping rather well in the light rain. All in all, a very satisfying day and another Graham bagged!